People of the world work to all sorts of different times standards. For some of the year, the UK is on GMT, at other times it shifts by an hour to BST. I interview guests for the Zone Show podcast on AEST, EDT, PST. The five time zones of China are harmonised, for simplicity, into one with the whole territory falling under Beijing Time, or CST. International travellers sometimes don’t know what day it is, with their body clocks jumbled by the shifting of hours! I’d like to propose a new common and simpler time standard that all humans switch to called EMT. EMT stands for Extended Me Time. It is the ’time zone’ we switch to when time elongates and we get more done in less time. It is a magical and creative space where we are both ’in the zone’, while also ’zoning out’. 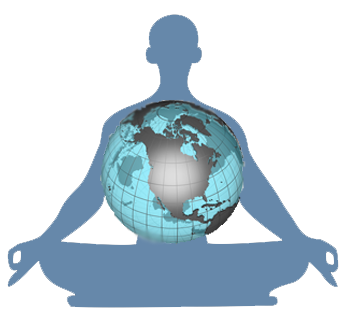 We can enter EMT simply by beginning each and every day with 10 or 20 minutes of ’me time’ in meditation. This is far from a waste of time. I discovered in my mid-40s that the days I took this time out when so much smoother and I got so much more done. There are also many benefits to our health and wellbeing such that it is thought every minute we spend meditating gets added to our life expectancy. If true, it’s a kind of madness not to meditate. Throughout the day, and especially while working on creative tasks, with a little practice it becomes then possible to enter the meditative state with your eyes open. We truly enter EMT when we do this as time elongates. Simply put, we begin to control the speed at which time passes by and we get more done in less time. There is more magic to unfold when we live in EMT. We begin to tap into aha moments on demand where bright ideas that change our world arrive in less than a second. They come from ’inside time’ and ’outside space’. The regular practice of meditation, and adoption of EMT, also makes us luckier. We begin to notice serendipities that might otherwise slip by. People and events start turn up just at the perfect time. This of course all saves bags of time. If you’d like to enter EMT and start meditating then I get the free Insight Timer app and I have uploaded a number of free meditations to help you get into EMT. 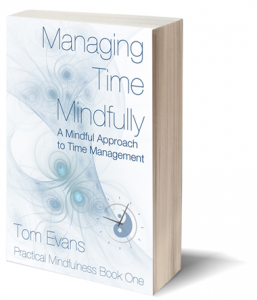 If you’d like to know more about how to manage the passage of time, as opposed it it managing you, get a copy of my new book Managing Time Mindfully.